Make money and have fun doing what you love, sound too good to be true? Well not when you have read the tips, secrets and information in this truly groundbreaking book. There is great information about how to make your act suitable and desirable for the cruise market. Nick even includes one of his pet routines, which he performs on every cruise. Although it is a cliché, his ‘Cruise Card Transpo’ really is worth the price of the book, as you will realize the moment you perform it. His tips on other effects to perform, and not perform, will also be invaluable as you master this highly paid and enjoyable field of employment. I was delighted by this short review of my book written by my friend Jon Stetson. 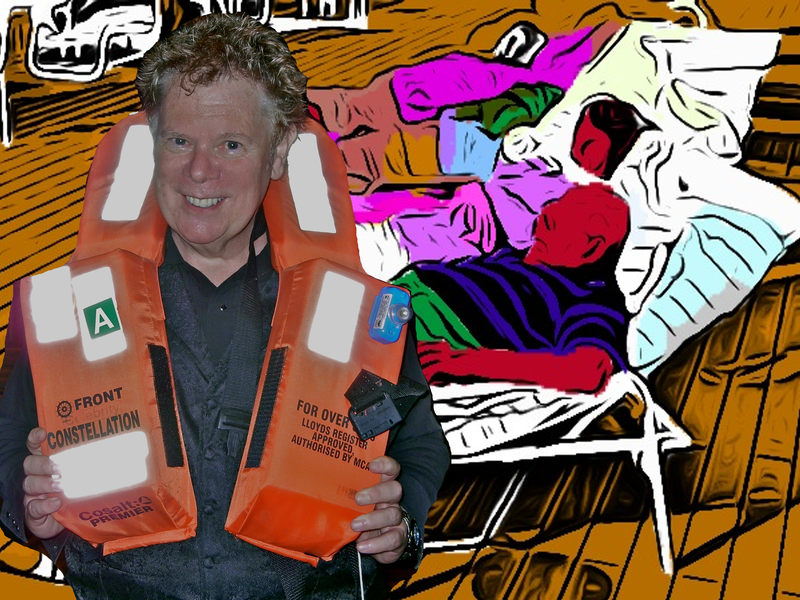 Jon knows the cruise industry both as a cruise director and as a performer. I really appreciate the great reaction to the book. Here is what Jon said. 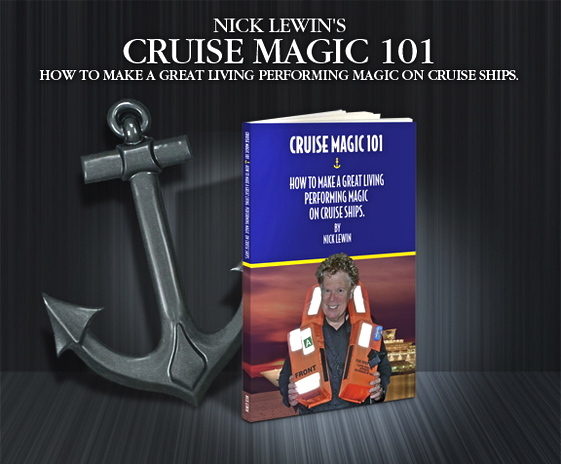 “This is truly the greatest book available for anyone interested in performing magic on a ship. If such a book were available 35 years ago it would have made my life so much easier. the information inside is easily a $10,000 consultation. Nick has also disproved the theory, that you can’t teach an old dog new tricks. There is a single tip hidden in the book that I would’ve gladly paid $1000 for today! It is also an outstanding refresher course for those with cruising experience. The Great Lewin chunks it down and gives you the straight talk and real work, Seasoned with a few laughs along the way”. There are few (if any) books that have been specifically written, addressing the field of cruise ship magic. Nick Lewin has done an outstanding job! He has covered every aspect of this genre in complete detail and is a venue that is in big demand, is very lucrative and provides excellent stability. 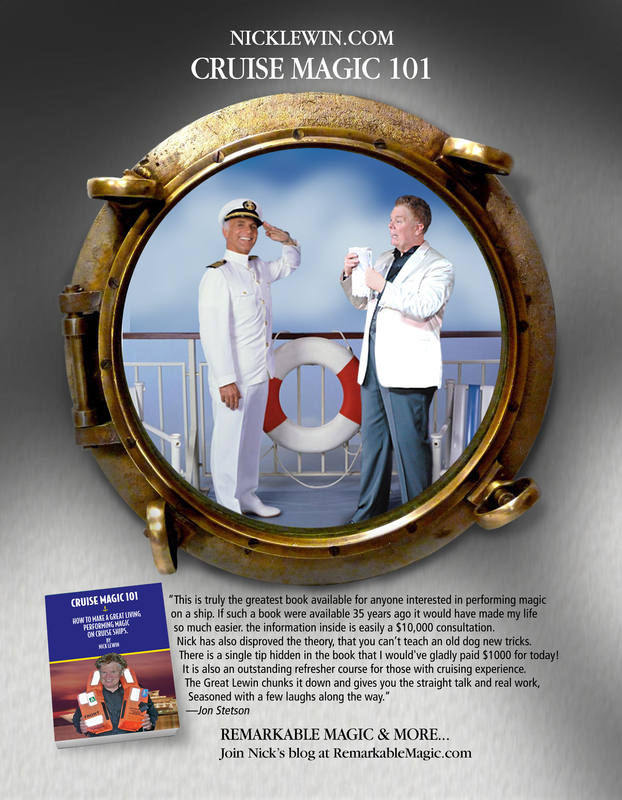 Mr. Lewin has been performing on cruise ships for over 40 years and his valuable advice will make you confident in pursuing this very rewarding field of entertainment! I consider this tome as a “must-have” for those who wish to become real professionals performing on cruise ships, and, to not only maximize your benefits, but avoid the pitfalls! Nick began as a children’s birthday party magician, pub magician, cabaret show performer and a participant in talent shows – until he hired an agent. This began Nick’s career in cruise ship magic! Fortunately, Mr. Lewin provides 5 important “bits of advice” that will prove to be quite valuable. Bookings and advertising are very important and covered thoroughly.I was elated with Nick’s “all-encompassing” advice about travel, getting to the gigs, each ship’s requirements (including all of the “dos” and “don’ts”! ), your behavior on-board, as well as your status and how to address the passengers.The chapter, “It’s Show Day!”, is one of the most important aspects of cruise ship performance! Nick generously reveals what effects to use, in what order your tricks should be placed, what kind of material to perform, as well as controlling the length of time for each show.Mr. Lewin addresses rehearsal times, performance times, lighting, sound, A/V, backstage requirements, M.C.s and the Production Manager’s master sheet as well as all cues for the above concerns.The chapter titled, Showtime and Beyond provides a plethora of information that the reader, again, will not realize until you’ve “already made the mistake”! Nick’s attention to detail is amazing and he even covers the use of flash products! This chapter also covers problems such as “what happens if the props don’t arrive”! The author provides readers a “back-up plan” and how to create an impromptu show without your props and even provides a list of effects that can be performed “on the fly”!Here’s something very cool – Mr. Lewin even provides the reader with an entire chapter of FAQs and SAQs (seldom asked questions)! To end this fantastic book, the author kindly provides an appendix of “Tricks and Stuff”!I’m quite well-read and I can truthfully say that I’ve never read any book that so thoroughly covers every aspect of any field of entertainment as does this wonderful book! The reader may never have thought of performing on cruise ships before – but I’m quite sure that many will be elated to find that this very rewarding field of entertainment is in big demand and will make you a star in your own right! What more could you ask for? HIGHLY RECOMMENDED! Lookforward to the cruise book. I have to ask the question do you ever teach? Looking for direction in this industry of cruising and what better way then to learn from a pro. I have known Nick for close to 20 years and he is at the top of list of comedy magic acts working on the high seas. I have been performing on ships and cruise directing for 38 years and Nick is one of my favorite acts. When I see his name on the bill I know the guests are in for a great evening of comedy magic, that is original, clean and great entertainment. I would highly recommend this book not only new acts but the seasoned performer as well. Never turn down a chance to learn from the best… and Nick Lewin is the best! Thank you Gary! Words like this from a top class performer and Cruise Director like yourself are really gratifying! Thank you. All sounds great , I am in Australia, where do I go to contact people who would engage artists on cruise ships ? Hope someone can help me here . I received the book a few days ago. I wanted to let you know how great I thought it was. It has some really helpful advice in it. Thank you very much Paul! I’m really glad you are enjoying it and finding the information useful…. Great stuff, I`d like to buy your book, how can I do that ?